MEMPHIS, Tennessee ― Quintairos, Prieto, Wood & Boyer, P.A., the nation’s largest minority and women owned law firm with more than 380 lawyers, has opened offices in Memphis and Nashville. The firm serves clients from 23 offices in the United States and abroad across a spectrum of industries in over 40 areas of practice including litigation, business, real estate and governmental law. The new offices are co-managed by partners Minton P. Mayer and Howard B. Hayden. Mayer is licensed in Tennessee and Arkansas. Hayden is licensed in Tennessee and Mississippi. Also joining the firm as a partner in the Nashville office is Pamela Bagley Webb, who previously served as Litigation Counsel to GuideOne Insurance Company. She is licensed in Tennessee, Georgia, Kentucky and Pennsylvania. Associates joining the firm are Kimberly Sterling and Colleen Schuetz. The expansion allows the firm to better serve its clients in Tennessee and throughout the Southeast. Plans are for aggressive growth. 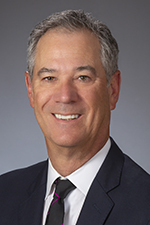 Minton P. Mayer concentrates his practice on the representation of long-term care providers, assisted living facilities, heath care providers, hospitals, nurse staffing, home health agencies and skilled nursing facilities. He has defended civil litigation cases throughout Tennessee including premises liability, product liability, automobile and insurance coverage. He is also a listed Tennessee Supreme Court Rule 31 General Civil Mediator. Howard B. Hayden successfully defended a wrongful death action in Middle Tennessee that remains one of the few Tennessee cases against a long-term care provider to result in a full defense jury verdict. He is also a listed Tennessee Supreme Court Rule 31 General Civil Mediator. 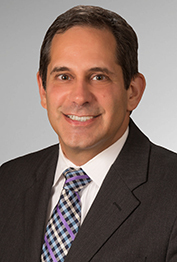 His practice focuses on defending long-term care providers, assisted living facilities, physicians, hospitals, nurses, and home health agencies.